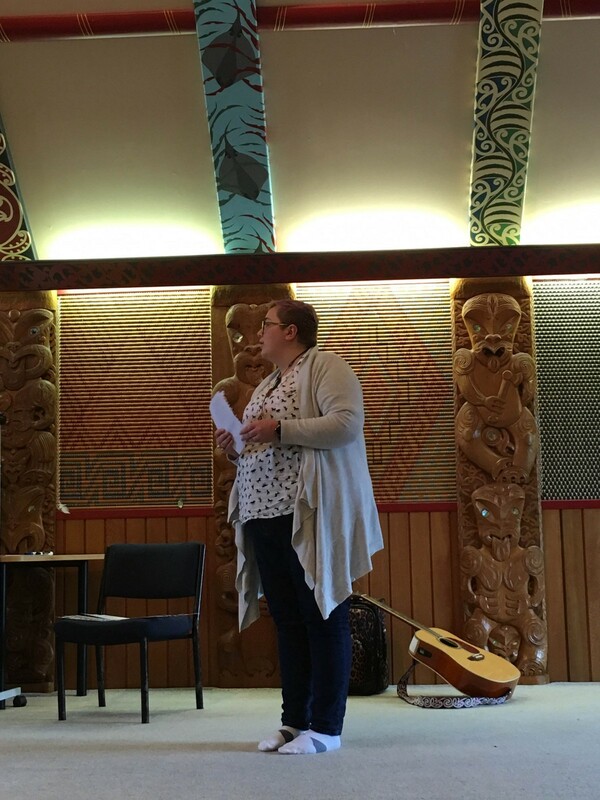 It was February this year that I wrote a wee little blog post that outlined how I felt about my Māori heritage. Little did I know the amazing feedback I would get from Pākehā, Māori who felt like this too and other indigenous people who felt exactly the same. I look back on the past 7 months and it’s been a whirlwind of amazing experiences. I wanted to outline some of the highlights. 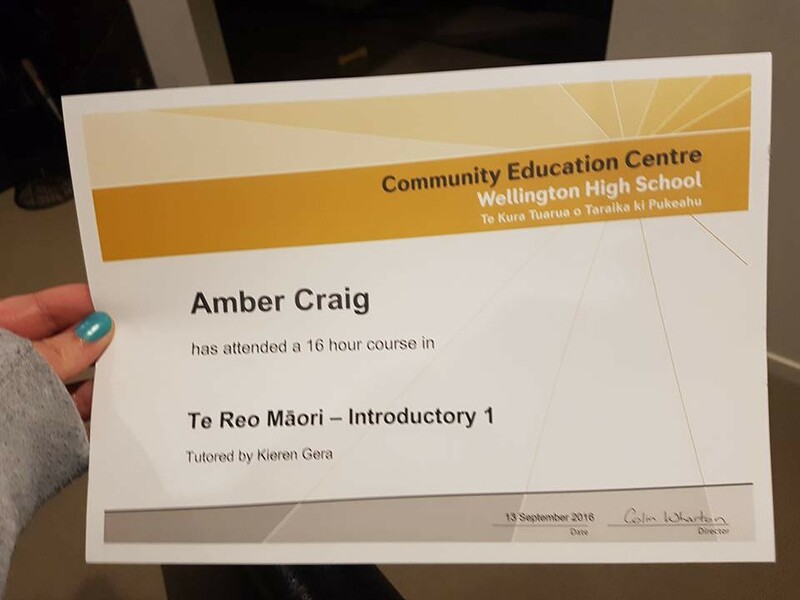 I signed up for a Te Reo course at Wellington High School. It was amazing and a great environment to learn in. I had an amazing class with a diverse range of classmates. A few were there to find their heritage as well, others who were embarrassed to say New Zealand Te Reo place names. All with good intentions. Over the course of 8 weeks we learnt really basic sayings. My Te Reo Māori Intro 1 Certificate :DI have also learnt about Māori customs and traditions. As a bit of a superstitious person it’s been interesting to see that things I hold dear have a concept or Māori word that just explains my exact thinking. Concepts such as utu and mana have really resonated with me. From my classes a group of Te Reo students have built a Te Reo language coffee group that meets up every Friday at 9.30am. We try to speak as much Māori as we can for the first half an hour and then we talk about Māori traditions, culture and legends for the next half an hour. If you’re interested in joining us then flick me a message and I can get in touch with details. I wanted to learn more about where I came from. Since February I have done some digging on my Nanny’s father side. An uncle was able to draw out a whakapapa for me and to realise that I’m related to Muaūpoko and understand my connection with Wellington and the land has been insightful. I even found out a great, great, great grandfather signed the Treaty of Waitangi. I even found out a great, great, great grandfather signed the Treaty of Waitangi. The connectedness of Twitter can be amazing in some situations too. Through one tweet I have managed to find parts of my Whānau which I thought may have been lost. I found out my Nanny’s mother was from Ngati Moe hāpu from the Pāpāwai Marae in Greytown. A few tweets from a friend connected me to someone from that marae. We had a quick coffee chat and then worked out I may be a distant relative to her husband’s whānau. With a few questions and answers via Twitter DM’s we worked out that her husband’s grandfather is my great grandmother’s brother. The amazing thing is my family didn’t even know that my great grandmother’s brother existed! Apparently they grew up separately. I happened to attend an event where both the woman I met through Twitter and her husband were attending. WELL. I got to have a chat to him and he wrote out for me on the back of a piece of paper my tīpuna. I almost burst into tears. The relief of knowing where I came from was something I didn’t quite know that I needed and wanted. I’m doing my pepeha on Hongoeka Marae. Since February I’ve been on a few Te tiriti o Waitangi (Treaty of Waitangi) training through both my own and work related reasons. It has been pretty eye opening for me the learning and understanding of what my culture is. Also the impacts of it and not honouring the treaty has had on multiple generations following the Treaty of Waitangi (and still to come I suspect). Through my family discovery and learning I am a descendant of someone who signed the treaty, I feel like I have a sense to help the voices to call out those not honouring a treaty that our tīpuna signed for a better life for us all. In one of the training sessions I sat crying as they outlined what the impacts were and how a lot of it was what I was feeling or missing. A sense of longing for something, no connectedness to my whakapapa and a loss of language and traditions. However I feel like I needed to learn and cry to move on. I have now been on a total of 3 marae in 5 weeks and I’m learning about customs and traditions at each visit. I hope to also be able to visit my whānau marae in the Wairarapa (Pāpāwai & Hurunui-o-Rangi) as well as a whānau marae in Levin (when I work out which one it is). I now stand taller and stronger understanding who my ancestors are and how that has brought me here today. I will not stop hunting for information and I will make connections with extended whānau I now know exist.